Located in the mountains of Western North Carolina near Asheville, Stepamgar Kennels is a secluded, yet convenient, six acre cat and dog boarding retreat. The landscaped grounds of Stepamgar Kennels include a state of the art dog boarding and cat boarding facility. Dog grooming is a specialty. The completely fenced grounds include a large, separately fenced, exercise park for canine guests. Double fencing for saftely. 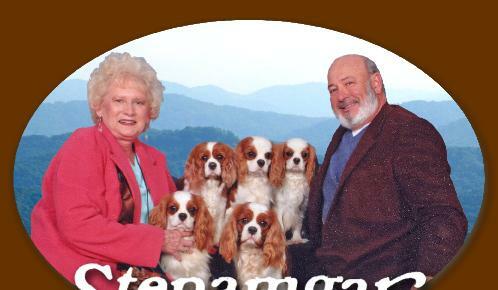 Stepamgar Kennels breeds prize winning purebred Cavalier King Charles Spaniels, in all four colors, using a careful system of bloodline charting and regular competition in the show ring.